Are you looking to live in one of Los Angeles most prestigious and desirable neighborhoods? 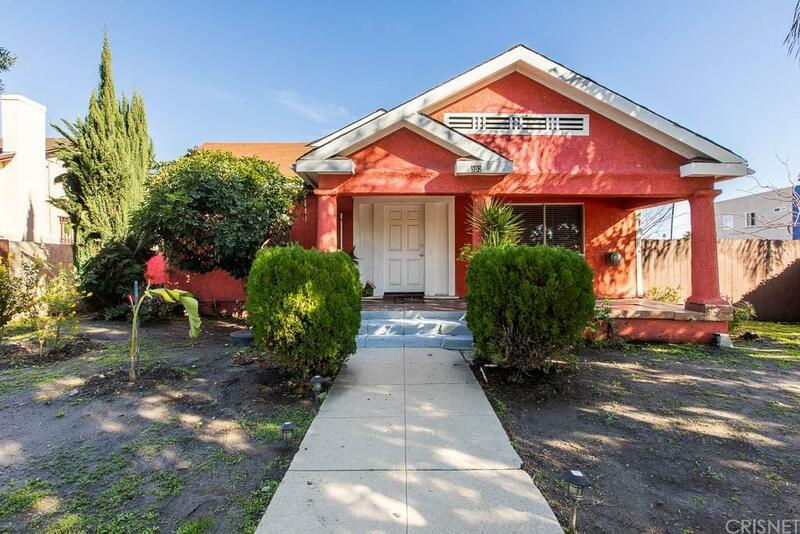 Located just minutes from Paramount Studious and south of Melrose this charming 4 bedrooms, 2 bathroom home is truly one of a kind. Situated on one of the largest corner lots in the community with over 6 + parking spaces, this home is perfect for multi family or an investor. Additional living space with separate entrance in back with bedroom, kitchen and bathroom (buyers to verify permits). Pride of ownership is throughout this home as it has been owned by the same family since the 1990's. This home is a perfect opportunity to either make it your own, or for an investor and/or developer's next big project! LAR3 Zoning opens opportunity to build several units on this big lot with plenty of room to expand (Buyer to verify zoning and building requirements). A real Gem in very desirable & sought-after area. Property is currently a single family residence, NO RENT CONTROL OR TENANT RELOCATION NECESSARY! Short distance from the excitement of Hollywood, Koreatown, Paramount Studios, The Wiltern, The Grove, Fairfax District, LACMA and countless more shopping, restaurants, and attraction!